All articles listed under this subject are meant to be purely inspirational or informational in content. We face so many challenges that it is necessary to have moments of positive reflection. Finding the right Assistive Listening Device can be a minefield. It is regularly seen as ‘too hard’. As a result so many people don’t even ask for help. Sometimes just knowing there are devices which can help is a giant leap in finding solutions for you. Sometimes it can be good to be deaf. Here’s a few times I was glad to be deaf. Can a deaf person drive? Ever been asked if you’re allowed to drive? It’s not a question most people even think about. But it is one deaf people get asked regularly. Research shows deaf drivers are no better nor worse than hearing drivers. Can't hear - What's missing? One in four adults over the age of 50 experience a hearing problem and three in four over the age of 75. When this happens it is usually gradual and often we do not even realise we are missing sounds. Equal access for the hearing impaired has long been an issue so it was nice to have captioned theatre available in my city. This is how it worked for me. What should you be able to hear if you drive a car? To a hearing person this would seem a superfluous question – and probably they would say nothing! But in fact there are many noises we take for granted and others which should raise the alarm. Even if you have hearing aids or implantable hearing solutions, we are still often deaf at night because we can't keep them on while we sleep. In a health conscious environment many people walk for exercise. There are things which seem obvious which can make it safer for you to walk. Being alert to your surroundings is extra important. I can understand why there might be Disabled or Blind Sports but why are there Deaf Sports? Learning a new language is hard even for most people with excellent hearing. Learning a second language when you are deaf and can’t get any feedback about the way the language sounds is doubly difficult. Learning music as a child seems to help them learn speak and lay down strong auditary pathways in the brain. These strong auditary pathways seems to have shown that if someone goes deaf later in life, those who had music training cope better. It depends on the kind of work you do, but being deaf in the workplace often comes with risks. If you work in an office then this risk may be minimal but if you are in an industrial workplace risks could be considerable. We all rely on our senses to alert us to danger. We use our vision to see obstacles and our hearing to listen for alarms, traffic or intruders. When someone is deaf an important early warning system is missing. Is there any reason why a deaf person can’t participate in sports? The answer to this is of course, if they have the inclination and the talent then of course they can participate. But there may be some limitations. The internet is a great leveller. I am not deaf on the internet and therefore, there are many opportunities for socialising, entertainment and keeping up with news and current affairs which were once denied me. We’ve come a long way since ear trumpets, the town crier or even party line telephones. Never before has there been so many options for communication and never before has this communication removed many of the barriers and given Deaf/deaf people access. Why subscribe to my Deafness Newsletter? It is my aim as Deafness Editor for Bellaonline to provide timely information to those who need it; the deaf, their friends, family and colleagues and will cover many issues. Read the rest of the article to find out more. Someone has been impersonating my daughter on the internet and it got me wondering about what I tell people in social media. How could this affect my personal security and identity - especially as a deaf person. If you were disabled and needed a wheelchair your house would be adjusted and modified to allow you to easily move into and out of as well as around the inside of the house so I wondered if there is such a thing as designing houses for deafness. Does anyone want to be deliberately deaf? As a hearing person who became deaf by the time I was about 35 I can’t imagine anyone choosing deafness over hearing. I wondered were there any people in the world who had hearing and would like to be deaf and if so why? Recently I wrote about English pronunciation and then an email appeared in my inbox. I am unable to acknowledge the source and you may have seen it, but it bears out my premise…that English has more exceptions than rules when it comes to pronunciation. Deafness is not reserved for the poor or the unknown and there are many famous people, past and present who are also Deaf or hearing impaired. We look the same as everyone else. Mostly we act the same as everyone else and because our ‘disability’ is hidden people expect us to react just the same as they do. Going deaf - what do you do? When you first suspect your hearing is deteriorating most people deny it. But you’ve come to the point where you’ve realised you can no longer deny it – what do you do? Many hearing aids, and in some cases people with a Cochlear Implant, will require that you have a hearing mould. At the Disability Expo in Adelaide Australia, last week a Cochlear Implantee brought along her Hearing Dog. I asked her why, since she can now hear very well, did she need a hearing dog. Should hearing impairment stop you from driving? Are there any rules and if so what are they? What does the research show about safe driving for deaf people. If you lose your hearing in later life, do you think to go to a Deaf Society for help? Do you know that help even exists? Hearing loss is prevelant. While many of the statistics I quote are Australian, research indicates that these statistics apply to most countries. All you need to do to is multiply the percentage by your country’s population to find the number of people. Hearing loss is a worldwide issue. In this article I point to some excellent UK hearing loss statistics and summarise some for the USA. It is different for everyone and does depend on what the cause of deafness is, but Deaf/deafened can be totally deaf and get no sound at all, or may still get some very loud sound, in just a few frequencies or it could be distorted. Emergencies have a nasty habit of occurring in the middle of the night. Most deaf or hearing impaired people don’t wear their hearing aids to bed so how do they know if there is an emergency? This is very difficult for those who cannot hear. How do we cope with being deaf? When someone like me goes slowly deaf (over about 15 years) we slowly adapt and make changes that help us to interpret the hearing world. Even if you live in a quiet suburban area, you are still subject to noise pollution. How will going deaf affect me? Going deaf doesn’t mean your life has to change. You just need to find ways of coping with your loss so you can maintain the quality of your life. Most people don't give deafness a thought because they never experience it nor know anyone who is deaf. I asked Karla, a degree student in Writing, at my alumni Curtin University, to write an article on her impressions of deafness. Is hearing loss getting worse? If so who is at risk and why? Does gender, race and education play a part? Hearing loss for Australian Indigenous peoples is a major health issue. It is a disease of poverty, frequently left untreated, with at least 40% of their children affected. Yet, sadly it’s a treatable condition and if treated would give these children a much greater chance in life. Recently, I asked a group of people if they do insure their implant processors and if so how they do it. The benefits and hidden dangers. So much new technology – it’s really quite exciting – but along with the benefits there is also a hidden danger. Is it our right to hear? Sometimes it seems, even in countries like Australia, that only if you have money do you have the right to hear. Research confirms that it is urgent to seek hearing loss treatment sooner rather than later to maintain cognitive ability. When we rely on some sort of device to hear it can be devastating if we lose or damage one. I asked a group of people had they ever lost one. As someone who went deaf there were many sounds I could no longer hear, but there are also many that no longer exist. What is quite astounding is there are probably two generations who have never even heard these sounds. Many advancements in technology have added noise pollution to our environment in a way never before experienced. Hearing loss has developed in direct proportion to our exposure to this noise. Managing your hearing loss – what stage are you in? Determining what stage of hearing loss you have reached helps you manage it. What does the funny word Mondegreen mean and where does it come from? Read on to find out. There has been a lot of discussion in the media about the risk of deafness caused by listening to music on a personal audio device such as an iPod or MP3 player. What fashions our music tastes and how does it develop? What happens if we go deaf? We are no longer exposed to the nuances of music so how does this affect our music taste? If you operate loud machinery or work in a factory you are expected to wear hearing protecting. Yet many of us listen to loud music. Exposure to loud music has often been linked to hearing loss. 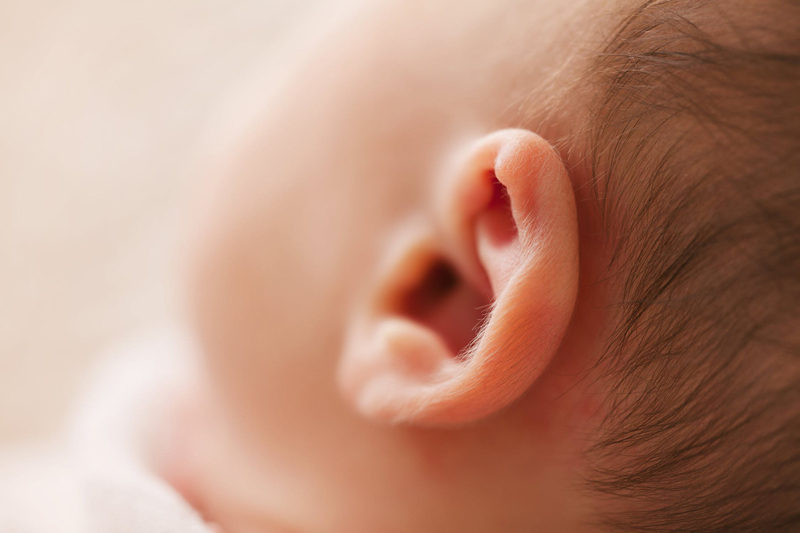 There are many myths about hearing loss. From one who knows – I hope you never go deaf. It is isolating, debilitating and destroys self esteem. Did you know this? Are new restaurant designs getting it wrong? Guest Author Rowena Vnuk looks at the design of restaurants and how this affects the noise levels. Being deaf doesn't necessarily mean we hear nothing and getting hearing back again doesn't always mean we like every sound we hear. I asked a few people what sounds they don't like! At night, when we take our hearing aids or implant processors off, we can't hear. Ever wonder what you might be missing? Onomatopoeia's a big word, funny to say and even harder to spell. The dictionary definition is “the formation of a word by imitation of the sound”. So this means a word sounds like a sound. Fascinated as I was in watching the Deaf children on our school bus, because I had no understanding of deafness, the perception I formed was that these children were mentally deficient, simply because they couldn’t talk like me and my friends. Proficiency in any language consists of three distinct skills - hearing, reading and speaking. But if you can’t hear this is particularly difficult - so how can you know how to pronounce words? Hearing is far more than just hearing a sound. It is the combination of the actual physical hearing, recognising what the sound is, judging the distance, location and direction, deciding whether there is a threat and knowing whether we need to take action or can ignore it. We have so many built in redundancies in our bodies that we can get by even if we only have one of something – one eye, one ear, one kidney. Single-sided deafness - well we can live with it but it does require adjustments and compromises. It’s quite amazing how far social networking has come and how it is helping people like me who have lost their hearing. No we're not talking about the cutlery drawer. Language is fun and these are some of the fun and funny things we do with it. The Australian Open Tennis Grand Slam is on and it’s great to watch the players as they stretch themselves to the limits aiming for the ‘crown’. But it isn’t always so nice to hear them as they play. Subtitles and captions both deliver at least the speech content of a visual medium. Captions may provide more information but subtitles will help a hearing impaired person get a better quality experience from viewing television, movies or DVDS. Using the telephone if your deaf was, in the past, difficult. But there are so many new technologies available that telephony is now available to almost everyone. It is important to know what is happening with your hearing loss because it helps you better manage it. I asked Rowena how she manages her hearing loss. The benefits of music are far greater than the simple enjoyment of a beautiful sound. Music stimulates our brains in many ways – even if we can’t hear it the way we would like. I’m a 24 year-old French girl, deaf since birth. Travelling as a deaf person is a challenge. But you just have to get rid of the perception that misunderstanding or being misunderstood is shameful, and be ready to go off the beaten path of communication! If someone who is born deaf and is illiterate has a Cochlear Implant will they understand? A lot of people with a hearing impairment express their frustration with family and friends who think that just because they now have hearing aid or even an implantable hearing solution such as a cochlear implant or baha, they are expected to hear perfectly again.